Sure, a garage door offers home security. But having a garage door alone doesn’t guarantee homeowners that thieves won’t try to break in whenever they get the chance. That’s why it is important to practice extra safety and security measures for your garage door. Since one of the most favorite entry points of a thief is through the garage, keeping them away from your garage door is an excellent way to avoid incidents of breaking in. By securing your garage door, you give your family an extra layer of protection from burglary. Although break-ins might go out of hand, there are preventable measures you can do beforehand. 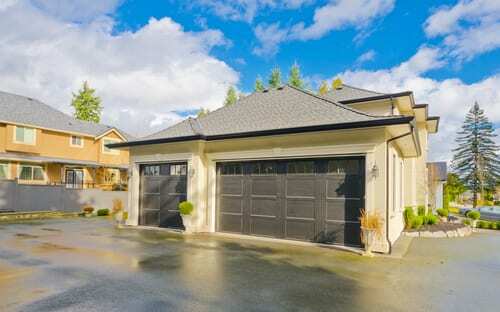 Here are the best security tips to keep thieves away from your garage. Keeping your remote in the car may be convenient. But if in some circumstances your car was stolen, the thief will also have access to your home. Instead, just attach your remote to your keychain or lock it in the glove compartment if you really need to keep it in the car. A well-lit garage will deter thieves. From basic motion detecting to alerting you through an app when its light flicks on, these lights are just so helpful. Thieves won’t want to proceed if they’re working under bright light. Surprisingly, many homeowners tend to keep their garage door open just because they forget to close it. A garage door left open is an open invitation for thieves to come in. So don’t rely on your memory alone. Install timers, and they will never forget to close it even if you do. If somehow thieves managed to come into your garage, they will finally have access to your home if the door that leads to your house from the garage isn’t as secured as the other external doors around your house. So make sure you install an extra layer of protection to it.